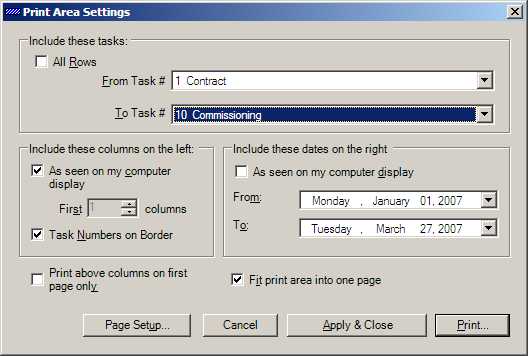 Gantt Designer comes with flexible and easy to use printing options. 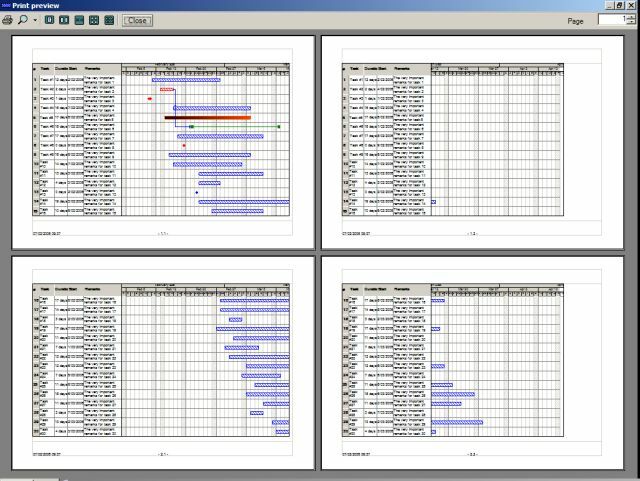 You can select what to print on the left of the Gantt chart: as seen on screen or the first n columns. And you can decide whether to reproduce the left section on every page if the time bars overflow over to a new page horizontally in the time dimension. You can easily select which rows (tasks) you want to print. A preview option allows you to take a look at your print output before commiting to paper.